Home Cycling Unzue: "We hope to see the best Landa in the Giro"
Unzue: "We hope to see the best Landa in the Giro"
The manager of the telephone set was cautious about the possibilities of the Basque runner in the Itzulia: "It is not a priority to win it." 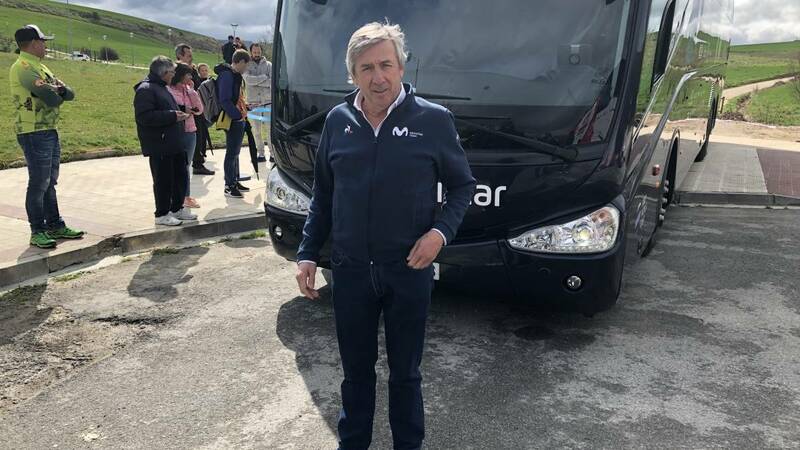 The manager of the Movistar Team, Eusebio Unzue, has attended the newspaper As in the exit of Sarriguren in the Itzulia. "If I'm not here, which is next to home, you will tell me. The stage arrived yesterday at Gorráiz, which is our headquarters for the logistics of the team, "Navarro said.
" It is not a priority, much less that Landa wins the Itzulia after the fall he had in Mallorca. Now he is recovering sensations although, being in the Basque Country, it is normal to feel like it. Surely then he will do Liège-Bastogne-Liège and Vuelta a Asturias before facing the Giro, which is his real goal this season. That's where we hope to see the best Mikel, something that I think will happen, "added Unzue . About today's appointment of 191 km, he said that "there is not much talk about it but with the wind that is going to hit, the layout itself and the battle that we expect from the same exit is a good one", warned . The third stage of the Itzulia will go through two points: Goñi, Second category and Opakua, Third. This port is climbed by the softer part because today's appointment joins Navarre land with Alava and will end, at about 17:15, in the Sanctuary of Estibaliz. "This race is going to be won by one of the greats. We are already seeing that very few are hiding for what is going to be very exciting and competed. And there we will be trying to get some stage or fighting for the general classification because there is still a lot and many things can happen, "concluded Eusebio Unzue.